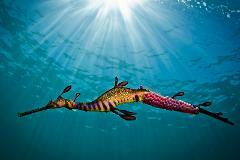 For those wishing to see the rare Weedy Seadragons in their natural habitat – this is the tour for you! 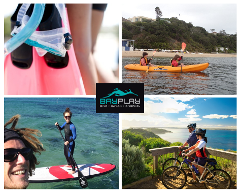 Learn all about the marine life of Port Phillip Bay in a relaxed coastal setting with Bayplay’s professional interpretive guides. 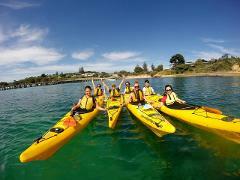 Sea Kayaking is the ultimate way to explore the pristine coastline of the Mornington Peninsula. Encounter dolphins, seals and penguins up close as you paddle through the Ticonderoga Bay Dolphin Sanctuary zone and Point Nepean National Park. 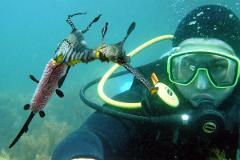 Scuba Diving in Melbourne is the perfect way to discover all kinds of marine life in the underwater world. No certification or past experience is required! Our highly experienced, professional instructor will help you take the plunge. 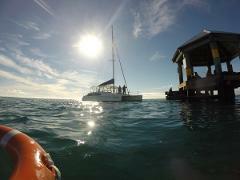 Cruise on board our catamaran - Dolphin II. 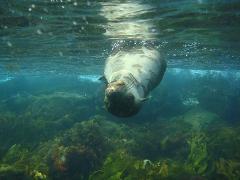 You will venture out on the beautiful Port Philip Bay enjoying the highlights - cliff top mansions, dolphins frolicking off the bow and we include a stop off at Chinamans' Hat to visit the Seals. Join the fastest growing board-sport craze! Learn to Stand-Up Paddleboard quickly and safely & then see the Peninsula from a totally different perspective as you paddle along the bay! Cruise on board our catamaran - Dolphin II. 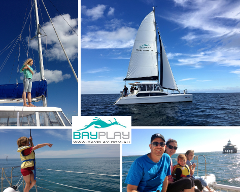 You will venture out on the beautiful Port Philip Bay enjoying the highlights dolphins frolicking off the bow and we include a stop off at Chinamans' Hat to Snorkel with the Seals. 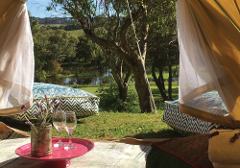 Your Glamping Experience at Iluka Retreat will provide you with a styled Bell Tent on a stunning private property, overlooking rolling hills, the valley and lake, plus walking distance to the beach and surrounding cellar door & vineyards. No certification or past experience is required! 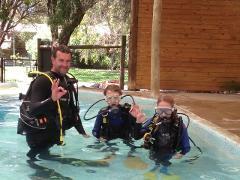 In our own purpose built dive pool, your Instructor will show you the skills to get you breathing under water! Catamaran Sailing on Dolphin ll will guarantee the stress free, re-energising experience that you can expect from a professional cruising outfit. 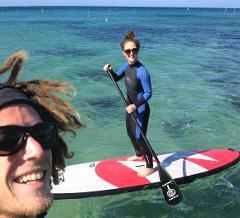 Whether you are a beginner or experienced, stand up paddle boarding is a great way to experience Melbourne’s stunning Mornington Peninsula! 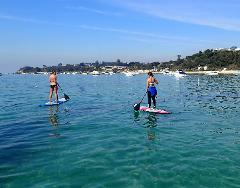 Stand up paddle boarding is easy to learn so why not give it a go today! SeaKayaking is a great Eco Friendly way to explore any coast line, not only in our backyard but all over the world. If you would like to gain Fundemental skill to get you Seakyaking in a fun and safe environment this is the course for you. 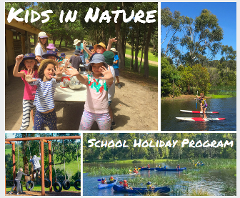 Get your Kids in Nature these School Holidays - turn off those devices and let them explore the Natural beauty on 36 acres at Iluka. A fun filled day in the great outdoors. If you’ve always wanted to take scuba diving lessons, experience unparalleled adventure and see the world beneath the waves, this is where it starts. Get your scuba diving certification with a Bayplay PADI® Open Water Diver course. 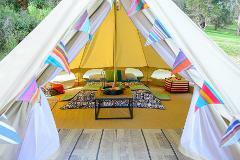 Rent A Tent at Iluka Retreat, and we will provide you with a 4m Bell Tent set-up for you. 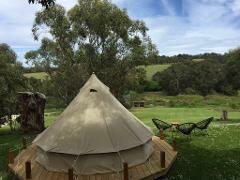 Set in the valley amidst the rolling hills, the valley and lake, plus walking distance to the surf beach and surrounding cellar door & vineyards. 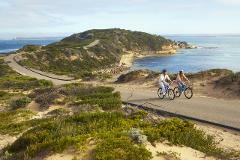 Experience the unique historic Point Nepean National Park from your bike in a fun, engaging & healthy way. 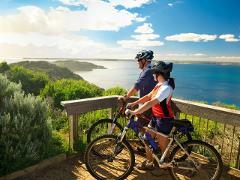 Located at the end of Point Nepean Road, where Bass Strait meets Port Phillip Bay and the Mornington Peninsula ends.